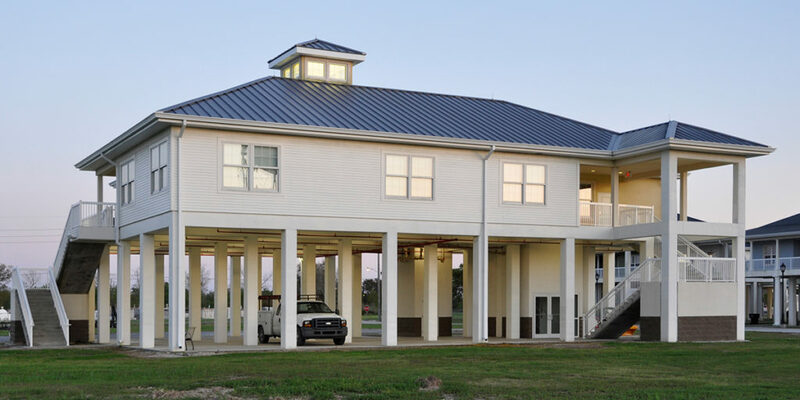 VergesRome Architects was awarded two projects by the Plaquemines Parish School Board to provide faculty housing to replace housing destroyed during Hurricane Katrina. The original housing, consisting primarily of single-family, slab on grade houses, was consolidated into multi-family housing units. 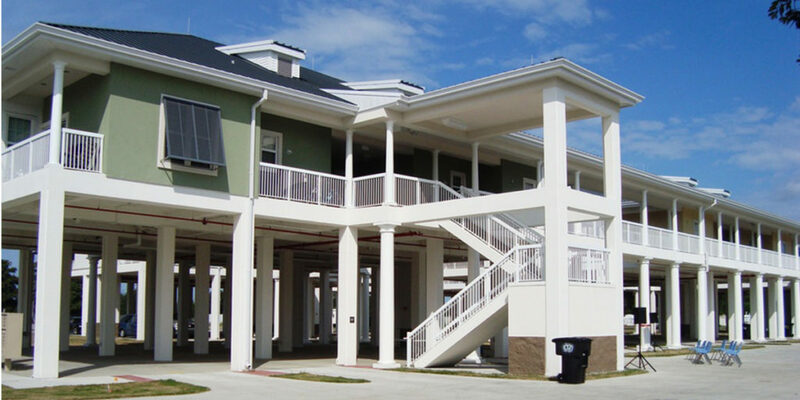 In conformity with FEMA guidelines, all replacement units were required to be designed as elevated structures to mitigate future flooding concerns in this low-lying coastal area. Parking is accommodated on the Ground Level under the 17’ high elevation. 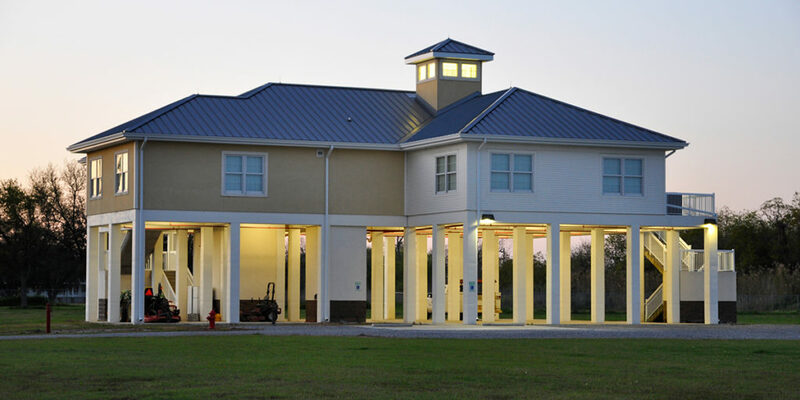 The faculty housing developments are located off-site but in general proximity to the Plaquemines Parish schools served. 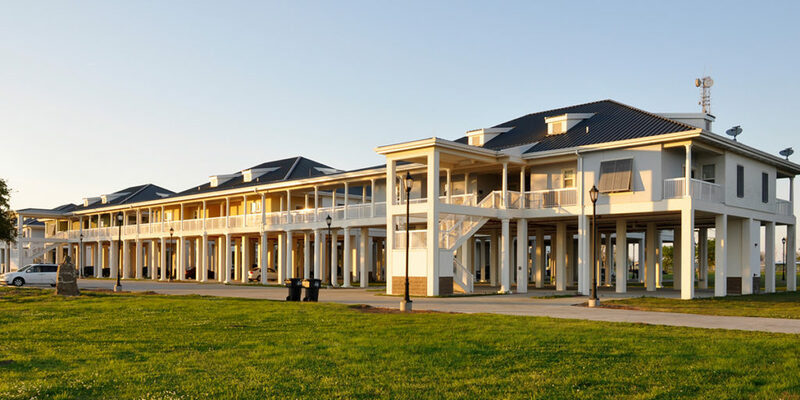 The largest of the projects, located at Buras, Louisiana, provides 32 faculty apartments ranging in size from one-bedroom to three-bedroom units. 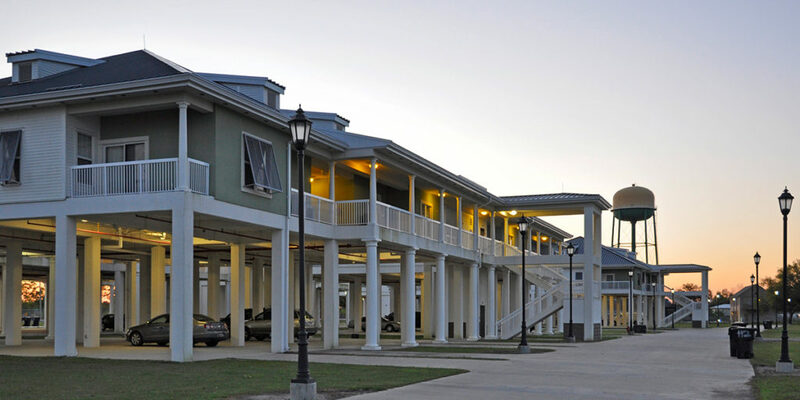 The Buras housing facility consists of eight buildings, totaling approximately 32,000 SF, with a 3,000 SF Housing Annex building. The raised units are interconnected by a system of covered walkways. 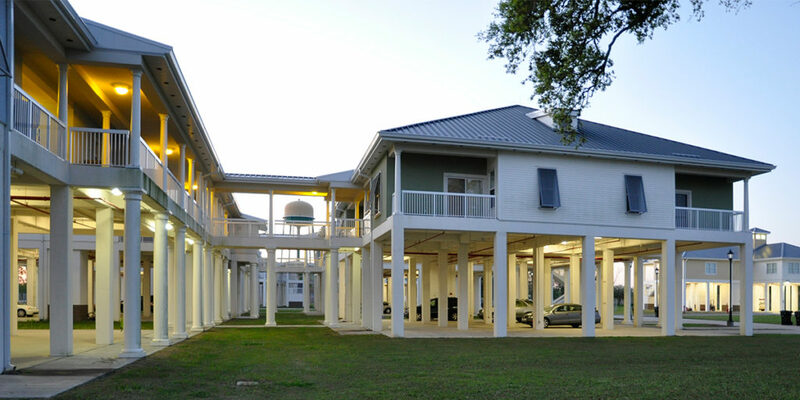 A second faculty housing facility, designed for Port Sulphur, provides a total of seven units contained in one building.